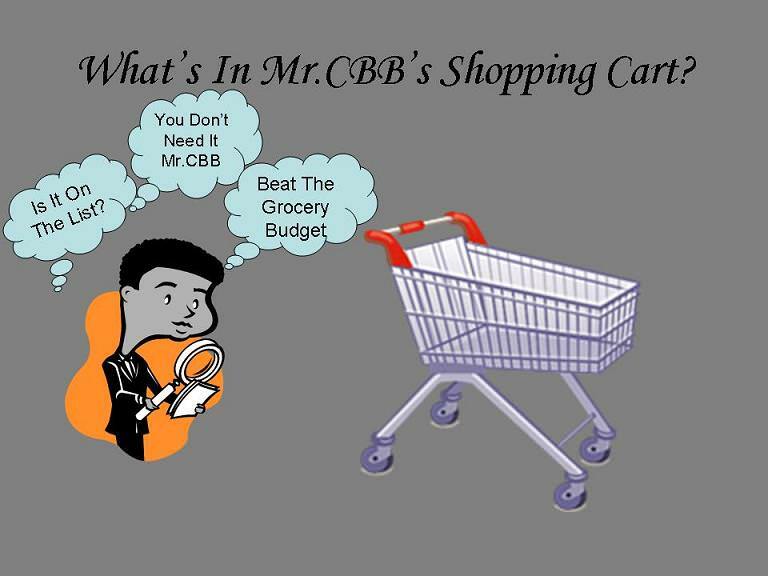 I can’t believe The Grocery Game Challenge 2015 is upon us but as we enter a brand new year of grocery savings we get the opportunity to make it right. If you are new to Canadian Budget Binder or landed on this page because you want to take control of your grocery budget in 2015 you’ve made a wise decision. The Grocery Game Challenge Canada is now starting in its fourth year and I’m proud to have so many fans join me along the way. I’d like to start this post off with a huge round of applause for all of the CBB fans that made it to the end of 2014 posting their grocery shops. I’m proud of your success and improvements along the way. What is The Grocery Game Challenge? The GGC as we like to call it is a weekly grocery budget update post by my family. We have a set grocery budget for two (now three as we have a new baby) and we do our best to stick to it. Part of the grocery savings plan is meal planning, writing a grocery list and trying new recipes so we don’t get bored with the same foods every week. The best part about the GGC is the fans who participate are all willing to help each other out whether it be through motivation or simply answering questions. Over the years I’ve started to put all the amazing GGC posts into one spot which are now part of The Ultimate Grocery Shopping Guide for Canadians. I will continue to do this in 2015 and encourage all of you to participate in topic ideas so we can explore together money saving tips to help keep our budgets in check. If you have a topic you think hasn’t been covered and would like to recommend something please email me. I’m always open to hear what the fans have to say since this Grocery Game Challenge is to help all of us not just Mrs. CBB and I. 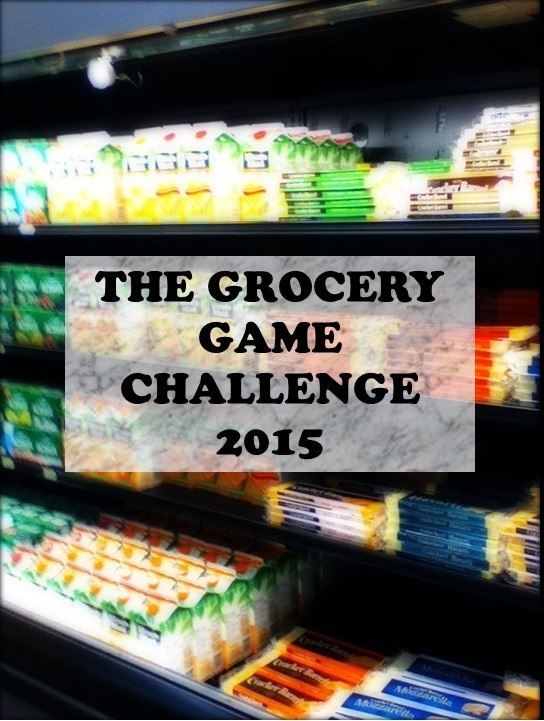 How do you participate in The Grocery Game Challenge 2015? I knew you would ask….. I wrote The Grocery Game Rules years ago and not much has changed except for new coupon app savings programs that we’ve added to the weekly write-up. I encourage you to read the rules and if you have any questions to please let me know. Don’t be afraid of making mistakes as we are all here to help. At the end of every month I draw a number from all the Grocery Game Challenge posts that all of you leave over the course of the month and a winner will get sent an envelope of money-saving coupons. This is just a small perk of the program because the biggest win will be the end of year numbers you get to drool over like we will be today. The Grocery Game Challenge is open world-wide although the monthly prize is only for Canadians. We have had many participants from other countries join in the fun because they are dedicated to their budget and they want to gain control of their finances. I don’t think Mrs. CBB and I would be where we are today, mortgage and debt-free if we didn’t stick to our guns when it came to the budget and how/where we spent our money. I know many of the GGC participants would certainly agree that posting their shops have not only saved them money but they’ve learned more about their shopping habits which helps them to make better decisions when grocery shopping. The Grocery expenses next to rent/mortgage is one of the biggest expenses in the budget. We started the GGC for the simple reason that we were overspending on food every month. There had to be a way to hold ourselves accountable and this is how the beginning of the GGC started. In 2014 Mrs. CBB and I set a grocery budget of $2820 and of that we spent $2788.36 for the year meaning we spent less than we budgeted for in 2014. We were pretty happy about that considering we had some months we over-spent and had some serious catching up to do. 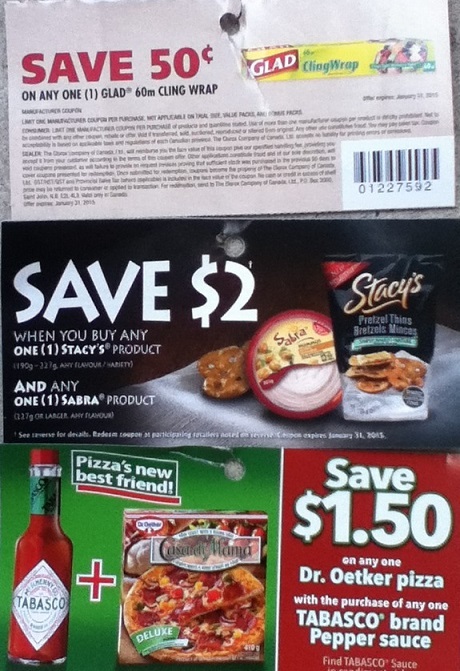 What was interesting was the amount of coupons we used in 2014 which amounted to a whopping $74.19 which does not surprise us. We have noticed little by little that we don’t use as many. Stockpiling food is not huge on our radar any longer as we simply could not get through the food on time. As for household products we used so many coupons in 2010-2012 that we are well stocked for many years to come. We may buy the odd items but for the most part we have hardly put a dent in our laundry soap, toilet paper, toiletries and soaps of all kinds. You will notice we added in a $20 stockpile budget in 2014 and it worked out great for us. The total stockpile budget available for the year was $240 and of that we used $185.18. Having the stockpile budget available worked so well for us that we have changed the budget from $20 to $25 for 2015. With grocery prices slated to increase in the New Year and changes to our diet this might just come in handy. In 2014 we redeemed one cheque from Snap Groupon by using coupon apps. We started late in the year with the coupon apps and hope to see more savings in 2015 although it’s always hit or miss with the products they offer savings for. Our aim for 2015 is eating as fresh as possible! Once you reach the bottom of this post you will see our final grocery budget expenses and savings for 2014 and I hope they will motivate you to join The Grocery Game Challenge 2015 with all of us. For those of you who are reading this today and want to cut your grocery costs in 2015 really put forth the effort to participate as you WILL save money. If I still haven’t convinced you to join The Grocery Game Challenge 2015 I encourage you to read these two blog posts that will blow your mind! How I reduced our grocery budget from $1100 to $600 in 6 months! The Grocery Game Challenge 2015 Weekly Overview for our household will look like this below. I encourage you to use the same thing by copy/pasting the chart below into a word document, fill it out then copy/paste it into a comment for the relevant week Grocery Game Post. You can design your own as well or something similar so we can all follow your shops. Always leave comments about your shop so we know what happened. Read the Grocery Game rules for all the details! A huge thanks to CBB fan and GGC participant Mary who designed our Grocery Game Challenge 2015 weeks for us. You don’t have to follow the exact weeks but you MUST post your shops as you shop so we can follow along with your monthly progress. It doesn’t matter if you shop once or 5 times. 2015-CORRECTED-GGC-Weeks<<<< Click and print the weeks so you have them handy! Please note I’ve updated the excel document since the beginning of the year and one date error was found. It has been corrected. Weekly Overview: We finished another grocery game year.. Yippie!! Get ready… next week begins The Grocery Game Challenge 2015! 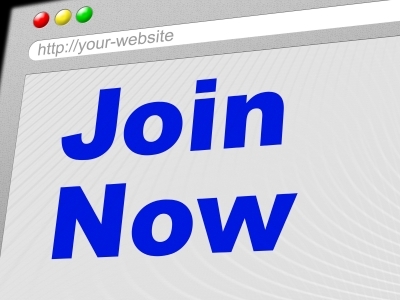 Join in and start saving some money! I will miss all the savings at Target a lot!!!!!!!!!!!!!! I didn’t always spend the $125 a week during 2014. I just found out this week that when produce gets checked and refused at the Sobey’s warehouse it is sold to places like H&W Produce and that is why they can sell it so cheap and the quality not be 100% because the companies just wanna make some money on it even if it is at a loss. We love our eggnog and only paid regular price for it once and then managed to get it on sale the rest of the times. That’s interesting. I wonder what the stores in Ontario do? Happy New Year to you as well! I am going to try and go back to the $100 a week instead of the $125 a week I was doing in 2014. We will see how it goes and adjust if need be later in the year. I do have a large stockpile so I think it will help keep our budget in check. Got some great deals this week! Are you going to miss all of those savings at Target now that they are closing? Did you actually spend the entire $125 a week in 2014? When you say you need to use the produce up quick are they seconds? You picked up some great deals… I like eggnog but didn’t buy any last year. Happy New Year and here’s to a successful year of grocery shopping. You get ballot 15. I did this as my first GGC of the year, not the last of 2014. Weekly overview: Starting off the year by going over budget for the week! Lol. I’m sure I can make it up somewhere in the next year! Happy New Year! Oh Jen, You never cease to amaze me or make me laugh. You’re starting off the year over budget haha!! Hilarious but I know that you now know what you need to do to keep on track. It’s not easy but it’s certainly a track I wouldn’t want to fall off from often because it’s a PITA to get back on. I learned that much many times last year. Stop buying that crappy filler cheese and get the real stuff… it’s the best. More expensive but it goes alot further as it’s the real deal!!! Who will do the shopping once baby comes? Ken? Mom? Dad? Shopping service? You? Ballot 9 coming your way. Mr.CBB Happy Days ahead! I need to finish up the month so I’m goingwith a short version of the posts week by week. Foodland, Dec. 19 -$130.19, 1.00 coupon, $27.00turkey bucks…didn’t notice until a few days later that I was credited $27.00 in Turkey bucks, thought I only had $21.00!! Total spent for month -$817.31!!!!!!ouch!!!! So there is the good, the bad and the ugly… I was doing OK until Nov. then it went to hell for Dec. I need to seriously watch that next year. My best month all year was Feb. and Dec. was the worst. I was within $10.00 of my budget amount in Jan., March, May, June, Oct., and Nov. April, July, Sept., and Dec. we’re the bad months for me. Other than Dec. I’m not sure why they were so rough but I now know where I really need to work on things a lot better. I am over for the year by $230.48!!! That is not good. It’s less than half of my overage form last year but I still need to do better. My budget amount has to stay the same as last year as income is the same. So $650.00 a month with $25.00 stockpile for the month. I saved the template for next year and will try to use that, with help I’m sure from the boys. A new year and another chance to work at this and get things in line next year…. I do realize that Foodland is not the cheapest place but it is cheaper than my alternative here in town. I try to get to town for the shops when I can. I’m working on cleaning out the freezers to start the year which will give me more room to, hopefully, start the Christmas food shopping earlier and toss in the freezer. The biggest problem getting to places like No Frills this time of the year is road conditions. We live in the snow belt and lake effect snows are a fact of life to be dealt with. I like the idea of setting money aside for Dec. groceries to help out there but that might mean hiding some money in my wallet to use when I see a really good sale or can get to the bulk stores. I’m also hoping to save up things like the PC points to use too….. I am getting better but there is still plenty of room for improvement and I am lucky that I have my friends here to help me out with recipes and ideas!!!! Thanks!!!! This is why you have to give yourself a pat on the back because given your options you did pretty darn awesome Christine. What are some of your goals for 2015? If you look at the analysis that I did below, we are a few $’s over on the Canadian shop this month, came in under on the US monthly shopping figure, we increased our reserves that we saved this year and (drum roll please!) the Year-to-Date Grocery final tally is UNDER by $43.64. I recorded things as spent but they are actually in saved in our reserves (Borscht, Re-Stocking, Christmas and Summer Reserves) so not all of the $2,886.93 that we recorded as spent was actually spent… only $2,236.36 was and hence the actual figure of $43.64 under on the year. Note: this included replacing the contents of my full size garage fridge when it gave up the ghost and died this year. That hurt! I almost cried!!! I budgeted $2,280.00 into the bank account for groceries BUT I found other ways to pay for some of them including points redemptions, rebate cheques and gift cards so the actual cash amount I used was $1,717.05 of the budgeted $2,280.00 have a Budgeted Grocery Balance SURPLUS of $562.95! But, I did not receive any grocery gift cards for Christmas this year- it was cash that will go straight into our TFSA’s. Therefore, for arguments sake, let’s say $43.64 UNDER is the figure we use when approaching the 2015 grocery planning. I don’t see the point in carrying the monthly overage of $3.62 into next year when I am actually under on the year-to-date so, I am going to close off 2014 and open fresh in 2015. 1 Spiral Ham $23.68 << Our treat for New Years! 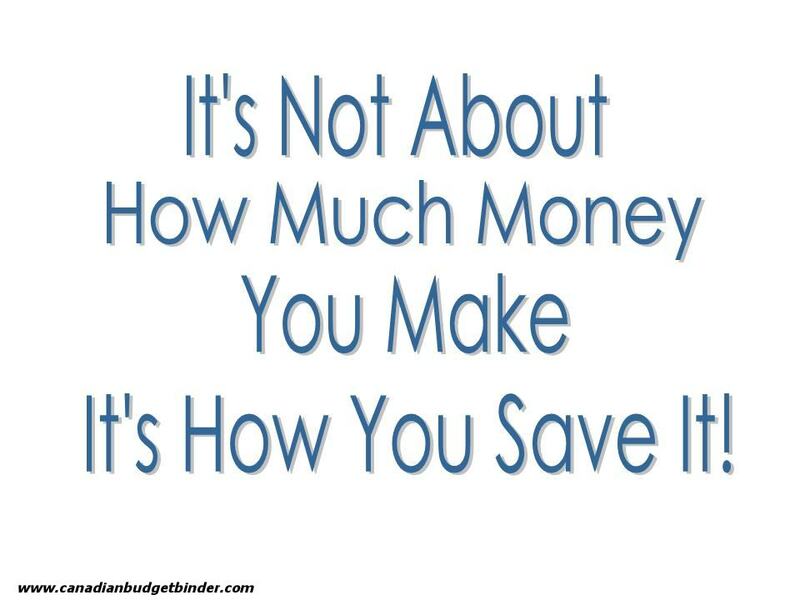 So, if you look at the $2,886.93 calculation that we have spent in 2014 and subtract the $537.50 we recorded as spent but we have actually saved in our “reserves” and the $113.07 ($19.07+94.00) we have recorded as spent but is actually set aside for future USA grocery shopping… we have actually spent $2,236.36!! That is $43.64 UNDER the $2,280.00 we budgeted for January through December. So, we may be over on the monthly Canadian shopping but we are actually under on the year. BUT if you also take out the cash that was either a gift, some non-budgeted earning method or a loan repayment: ($104.04 Hiding Spot Cash from bottles etc + FREE $20 Safeway Gift Card + $80.00 Cash Repayment from a neighbor + $24.27 from a 2013 Costco Rebate Cheque + $0.00 used out of a 2014 Costco Rebate Cheque for $13.45 + a Christmas present of a $250.00 Safeway Gift Card+ $20.00 Thrifty’s Points Redeemed and $20.00 PC.Plus Points Redeemed+ $1.00 gift from hubby’s spending money) = $519.31 then we actually only used $1,717.05 of the budgeted $2,280.00 have a Budgeted Grocery Balance SURPLUS of $562.95!